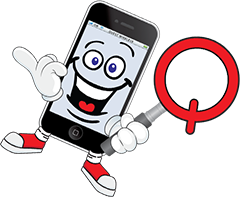 Quest Wireless Sales and Repair has teamed up with Simple Mobile, to bring you and your family quality affordable cell phone coverage. Your relationship with your mobile carrier is complicated, but choosing SIMPLE Mobile isn’t. Starting at $25, our 30-day service plans are on a lightning-fast nationwide network, which means you won’t sacrifice service or speed when you switch. If you are looking for an affordable cell phone service that offers talk, text, and data, look no further. Come in to see us for the cell phone service you have been looking for, located in Kansas City at 7224 Wornall Road (816) 444-1088.088. Unlimited talk and text on Simple Mobile’s. Unlimited High-Speed access to Facebook and Facebook Messenger. No charges for long-distance or roaming within U.S. You crave constant contact and service you can count on. Our fast, nationwide network coverage keeps you connected. No Contract – Choose your plan, choose your phone. Join Simple Mobile at Quest Wireless for FREE and get early access to the Rewards program!